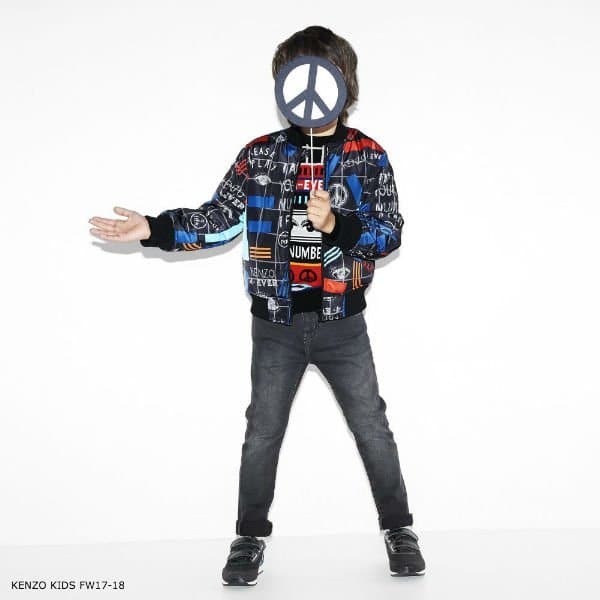 Love this Streetwear Look for Boys by Kenzo featuring this fashion-forward jacket decorated with bold geometric, iconic motif and vibrant colors. 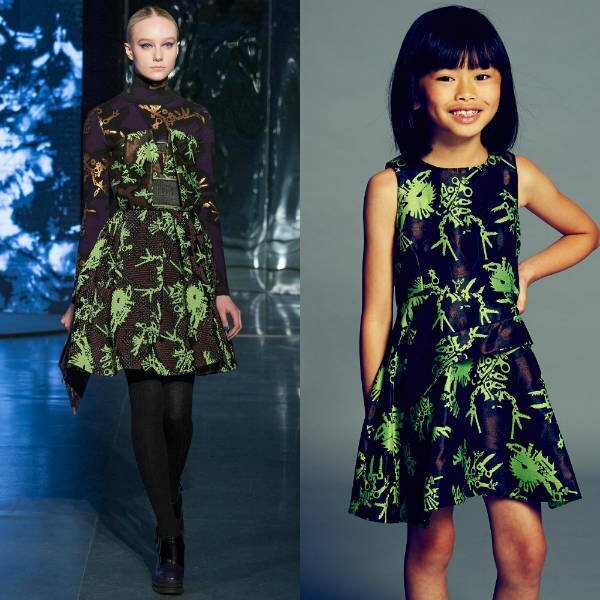 Looks perfect with this KENZO KIDS Black Fine Knit Sweater with a mix of vibrant patterns including slogans 'Kenzo Kids 4-Ever' and 'I am your number 1 fan'. 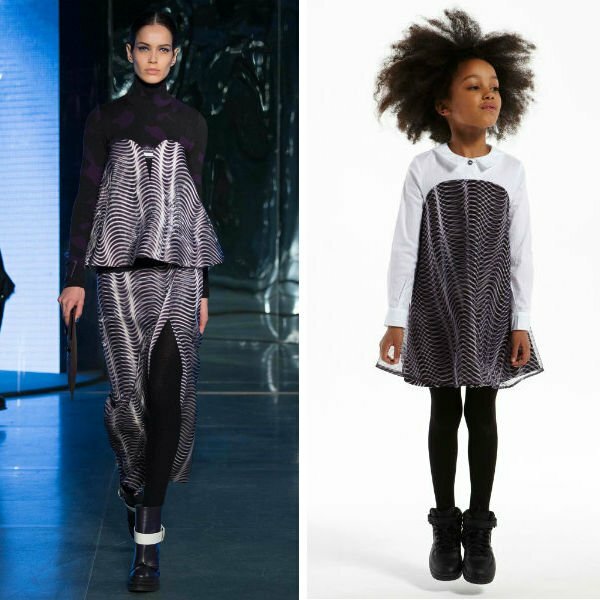 Complete the look with a pair of KENZO KIDS Boys Slim Fit Turn Up Jeans and Black Leather Sneakers.